Surrounded by boulders and scattered trees this trail offers a playground for the adventurous one seeking an unconventional trail through the wadi leading to the old settlement and fresh water spring. 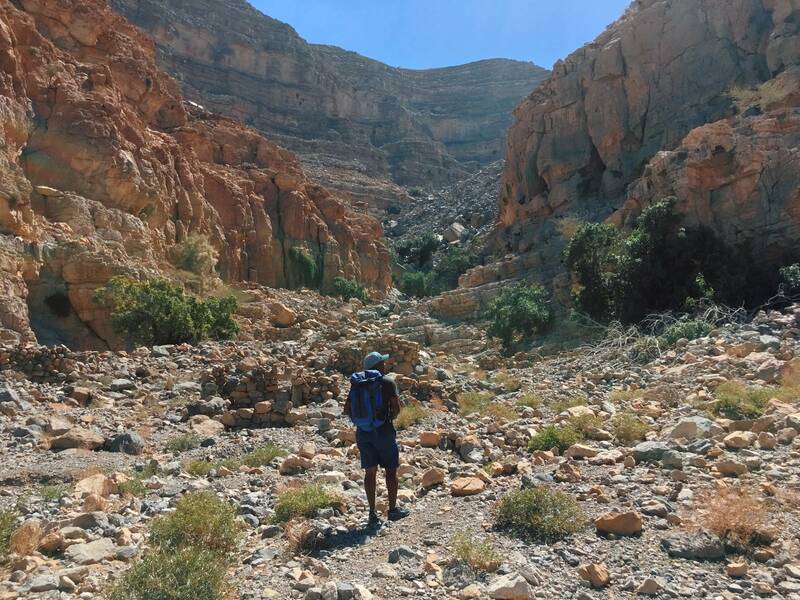 Along the wadi you will pass by green patches, exciting rock formation and lots of boulder hopping. This is an intermediate trip and carrying your heavy backpack makes it challenging but enjoyable. It requires good fitness and cardio. However this trip is not technical and no rope skills is involved. If you are sports active, have good fitness, and want to challenge yourself then this trip is for you. The number of attendees is limited to a small group to keep a good pace. Difficulty level of these canyons is 6 out of 10. Expected duration of hike with minimal stops around 8hours. • Distance to cover 6km round trip. 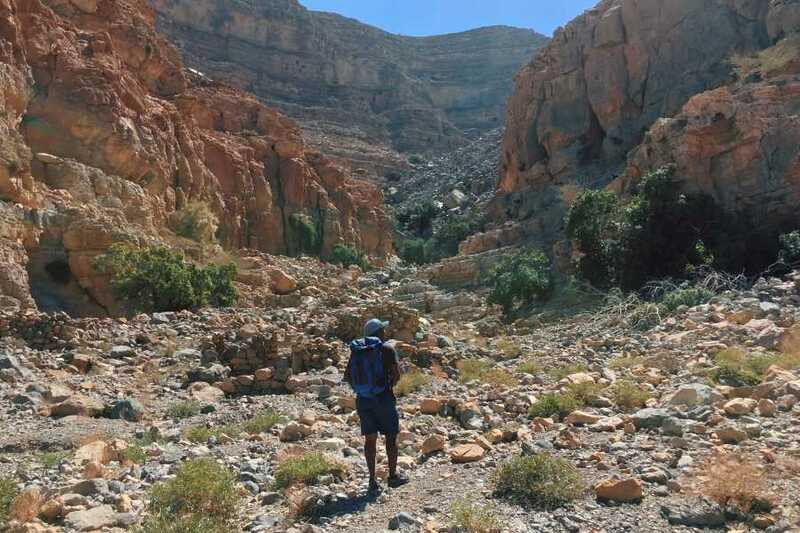 • Involves: Steep climbing in certain areas, bit of scrambling, parts with loose rocks, gentle stretches. • 1 trail mix pack for the hike, 1 breakfast, backpacking dinner. Note: If you are a vegetarian kindly notify us.